The East Central Railways will run nine Holi special trains in Bihar, Jharkhand and West Bengal. Indian Railways has announced a list of Holi special trains for long weekend. The Holi festival is on Friday, March 2 this year. 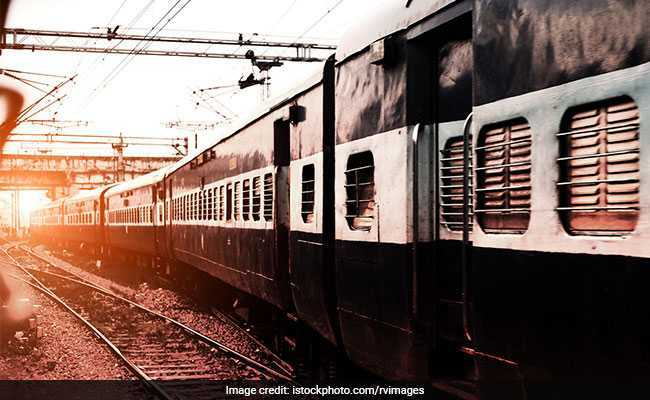 Keeping in mind the festive rush during Holi long weekend, the Indian Railways has announced a list of special trains in Bihar, Jharkhand and West Bengal. The East Central Railways administration will run nine special trains, including Patna-Ranchi-Patna Special. Earlier this month, Western Railway had also announced two Holi Special trains to Patna on special fare. They are 09011/09012 Bandra Terminus - Patna (Weekly) Superfast Special Train and 09421/09422 Ahmedabad - Patna (Weekly) Special Train. The Central Railways also announced eight Holi special trains between Lokmanya Tilak Terminus, Mumbai and Barauni, Bihar last week. 1. Ranchi-Patna Holi Special: The Ranchi Patna Holi special train (08621) will be launched at 11:15 PM from Ranchi junction on February 28. It is scheduled to reach Patna at 9.15 AM the next day. The same train, with number 08622, will leave Patna on March 1 at 10.15 am and reach Ranchi the same day at 6:30 pm. 2. Asansol-Patna Holi Special: The Asansol Patna Holi Special train (03561) will leave Asansol at 7:15 AM on February 24, February 25, March 3 and March 4. The same train will be 03562 Patna Asansol Holi special and depart from Patna junction at 3:15 AM on February 24, February 25, March 3 and March 4. 3. Habibganj-Patna Superfast Holi Special: The Habibganj-Patna Superfast Holi Special train (01657) will leave Habibganj junction at 4:30 PM on February 28. Patna-Habibganj Superfast Holi Special train (01658) will depart from Patna junction at 1 pm on March 1. 4. Howrah-Raxaul Holi Special: Train number 03041 will depart from Howrah junction at 10:50 PM on February 25. Train number 03042 Raxaul-Howrah Holi Special will leave Raxaul junction at 7:45 PM on February 26. 5. Malda Town-Anand Vihar Holi Special: The Malda Town-Anand Vihar Holi (03429) special train is scheduled to depart from Malda Town at 9:05 AM on February 24 and February 25. The same train will be 03430 Anand Vihar-Malda Town Holi Special and depart from Anand Vihar junction at 5:10 PM on March 6 and March 13. 6. Kolkata-Chapra Holi Special: Train number 03135 will leave Kolkata at 8:05 PM on February 26. The train will reach Chapra via Vardhman, Durgapur and Asansol. Train 03136 Chapra-Asansol Holi special will leave Chapra at 1:20 PM on February 27. 7. Tata-Chapra Holi Special: Train number 08181 will depart from Tatanagar junction at 5:05 AM on February 28. Train number 08182, Chapra-Tata Holi Special will leave Chapra for Tatanagar at 11 PM on February 28. 8. Santragachi-Darbhanga Holi Special: Train number 08021 will leave Santragachi at 3:40 PM on February 28. Train number 08022 Darbhanga-Santragachi Holi Special will leave Darbhanga at 1:50 PM on March 1. 9. Howrah-Gorakhpur Holi Special: Train number 03031 will leave Howrah junction at 11:55 PM on February 28. Train number 03032 Gorakhpur-Howrah Holi Special will leave Gorakhpur at 7:05 PM on February 29.